We love the baby legwarmer trend and jumped for joy when our friends at Leg Huggers sent some over for us to try. Nothing makes diaper changes easier and looks quite as cute as Leg Huggers Agoo Leggings. We think these particular legwarmers are especially great because they are made out of bamboo. This all natural fabric is eco-friendly (bamboo is one of the word’s fastest growing plants) and super soft for sensitive skin. We love to throw Agoo Leggings on under dresses or even under a cute t-shirt to keep arms warm. They are also perfect for protecting crawler’s knees and wick moisture away. Have big kids? Throw them on for danceing or wear them as leg or arm warmers. We love the Popsicle Parade (perfect for summer) and Puzzle Fun (great for little boys). 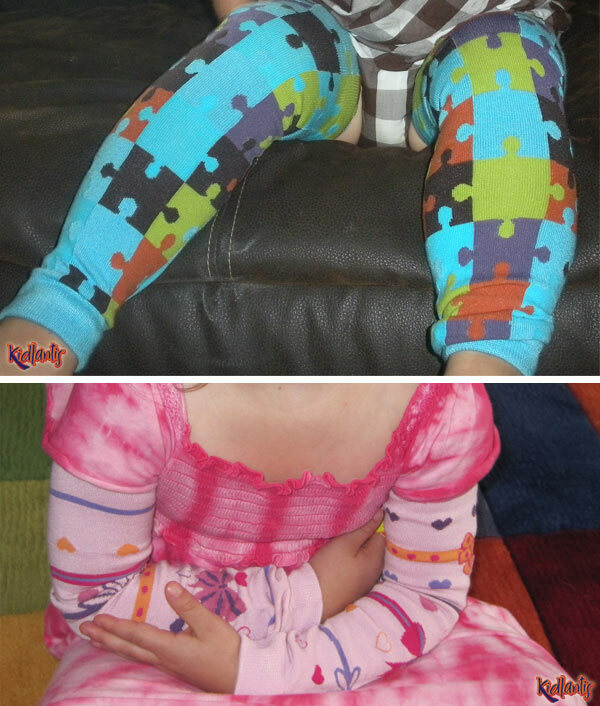 See the pictures of our toddler testers trying-on the samples Leg Huggers sent to us. Leg Huggers also provided us with coupon code 1centleg5 which is good for your first pair of Agoo Leggings for just one penny! Hurry, this coupon offer is only available for the first 25 orders.